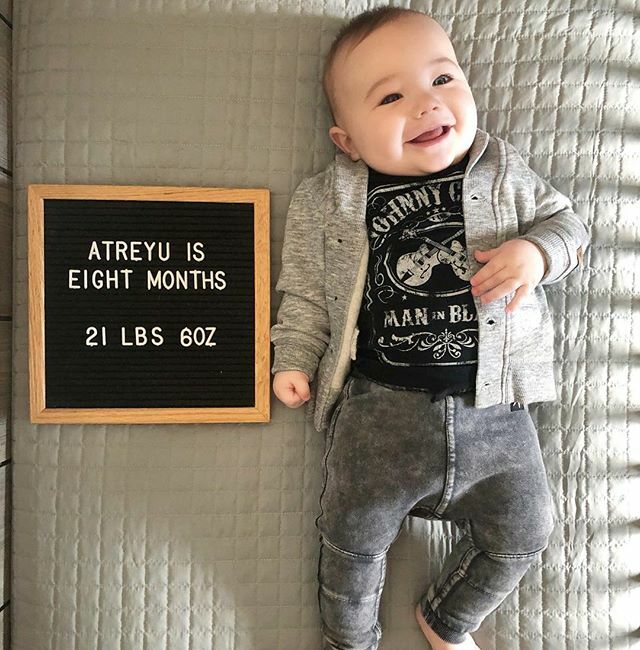 I can’t believe it’s already time for another #monthlyatreyu This was a BIG month! Size, obviously (look at this giant baby!) and he hit a ton of milestones. He got his first cold this month which was awful, and he lost a whole pound. His appetite is back but it took awhile, and now he’s becoming so much more physically active so he probably won’t pack on the pounds every month like he had been. He also had his first tooth break through! I can tell the second one is close- I can almost see it and he’s been considerably more cranky and restless the last few days. 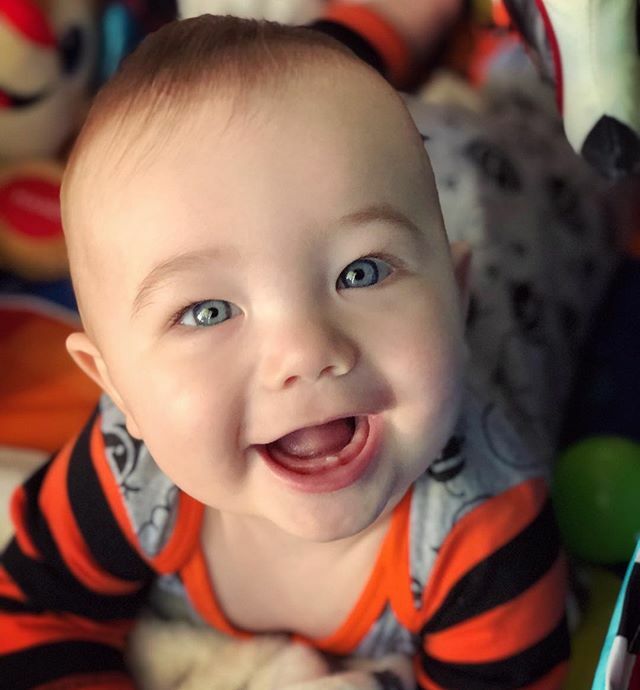 Who knew little toothy smiles were just as adorable as the gummy smiles that I love so much?? ️ He has also figured out how to swat at my hands when I’m doing something he doesn’t like, like picking his nose or clipping his fingernails. He loves musical toys, especially his keyboard and he has been especially enjoying when we play the new piano together. He’s sooo close to crawling- he can get up on all fours and bounce around but hasn’t figured out how to move his hands and knees together to actually go anywhere. 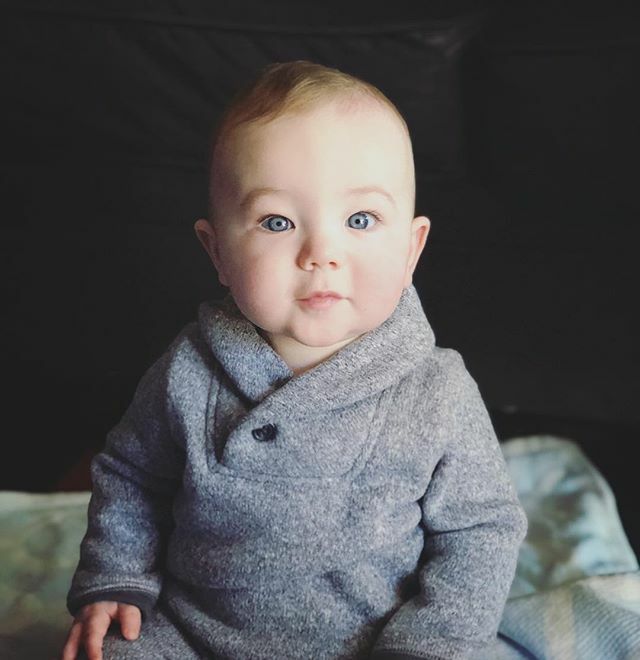 I’m seriously not in a hurry for that to happen seeing as how our house is the farthest thing from baby-proof  I feel like this month he has grown and developed so much! We love you #atreyumcmillan!!!! 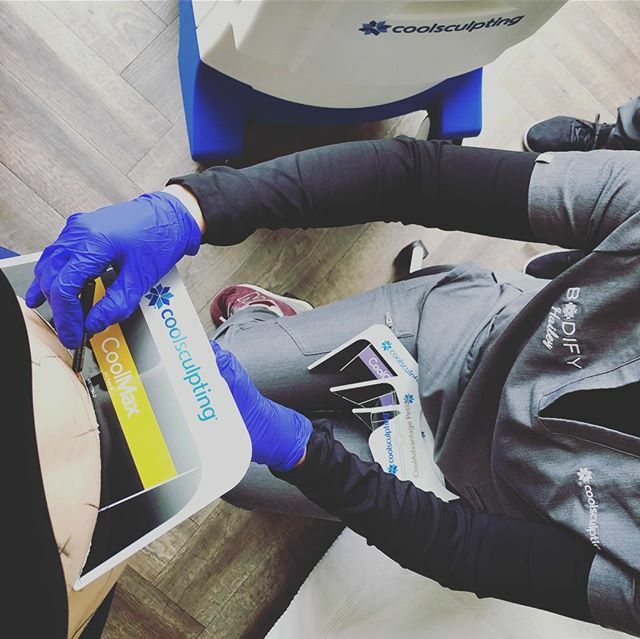 Thank you to the amazing boss babes at @bodify for the phenomenal #coolsculpting treatment today!! 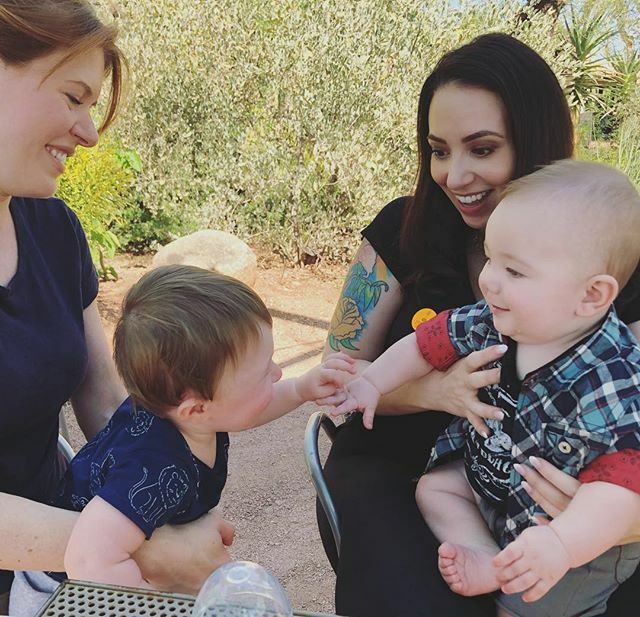 Met up with @redmegan88 and baby G for lunch at the #desertbotanicalgarden! #atreyumcmillan loved hanging with another baby and I am pretty sure I was better at socializing my dog than I have been at socializing my kid  More play dates are definitely going to be a priority.